We undertake house clearance in all areas of Edinburgh: Inverleith Jock’s Lodge Joppa Juniper Green Kaimes Kingsknowe Kirk o’ Field Lauriston Liberton Little France Lochend Lochrin Longstone Marchmont Maybury Mayfield Meadowbank Merchiston. 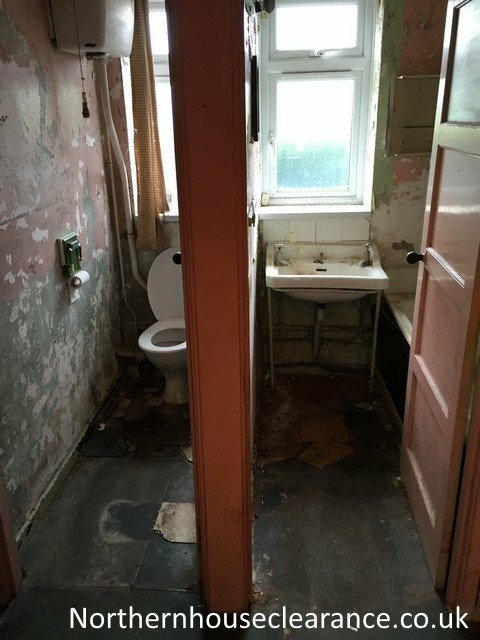 A client contacted House Clearance Edinburgh from Thailand, where he was a British diplomat and was currently living with his family. While abroad, his elderly mother had died unexpectedly. Although he had returned to Scotland for the funeral, he had not had time to completely sort out her affairs. He had inherited a house from her, a three–bedroomed detached property in the suburbs of Edinburgh. While he was in Scotland for the funeral, he had removed those personal items he wanted to keep and he now wanted us to clear and clean the property. He also asked us to tidy the garden which was somewhat overgrown. He had engaged an estate agent to market the property and we were instructed to pick up the keys from their office. We arrived at 7 o’clock and got to work. The house was set on a wide road in a residential street in the suburbs, and we had no difficulty in parking outside. The furniture was of superior quality and mostly in good condition so quite a lot of it was well worth selling on. Other items, while still serviceable, were of little secondhand value. As one team worked inside, our gardening team pruned back shrubbery, mowed the lawn and weeded the flower beds. Once the property was cleared we gave it a thorough clean, including a steam-clean of the fitted carpets. By just after 5 o’clock we’d completed the job, leaving the house in tip-top condition. We sold the better items of furniture through our own secondhand shop and the proceeds of the sale went to offset the cost of the house clearance. The remainder of the furniture, which was still serviceable, went to a local hostel for homeless people in the Edinburgh area. Less than 10 percent of the total items cleared went to the local recycling facility. The estate agent inspected the house when we’d finished the job and was very pleased with our work. He said they’d now be able to put the house on the market the next day.